Prior to the Nets’ home game against the New Orleans Pelicans, Sean Marks, the Brooklyn Nets general manager spoke to the media about recent player moves specifically: 1) moving Tyler Zeller to the Milwaukee Bucks, 2) acquiring Dante Cunningham from the New Orleans Pelicans, and 3) Jeremy Lin exercising his player option. 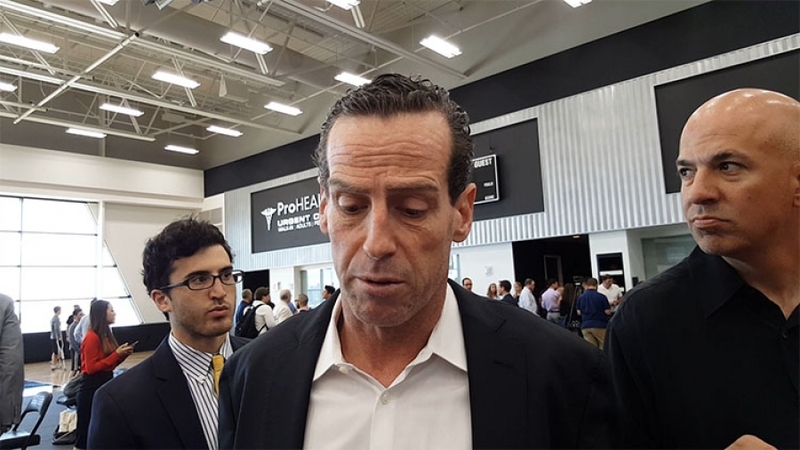 Marks also provided insight into the Brooklyn Nets' process for acquiring players. Tyler Zeller came to the Brooklyn Nets as a free agent in September 2017 after playing with the Boston Celtics (2014-17) and has played in 42 games with averages of 7.1 points and 4.6 rebounds in 16.7 minutes per contest. On February 5, 2018, the Brooklyn Nets traded Tyler Zeller to the Milwaukee Bucks in exchange for guard Rashad Vaughn and a 2018 second round pick from Milwaukee provided that the pick falls between No. 31-47. If the pick is not conveyed in 2018, it will become an unprotected 2020 second round pick. "It's always difficult to see a guy move, especially a guy like Tyler who did everything we asked him to do," said Marks. "Worked hard, developed himself. All the old clichés of first guy in the gym, last guy to leave sort of thing, he was that. But this is a great opportunity for him. He gets to go to a playoff team. Milwaukee wanted him, wanted him badly, and that sort of reflected in what they had to give up to get him." On the heels of picking up Rashad Vaughn for Tyler Zeller, the Nets acquired forward Dante Cunningham from the New Orleans Pelicans in exchange for Rashad Vaughn. Cunningham (6’8”, 230), currently in his ninth NBA season, has played in 51 games (24 starts) for the Pelicans this season, posting averages of 5.0 points and 3.8 rebounds in 21.9 minutes per game. Selected out of Villanova University by the Portland Trail Blazers with the 33rd overall pick in the 2009 NBA Draft, Cunningham holds career NBA averages of 6.0 points and 3.8 rebounds in 21.5 minutes per contest in 629 games with Portland, Charlotte, Memphis, Minnesota and New Orleans. 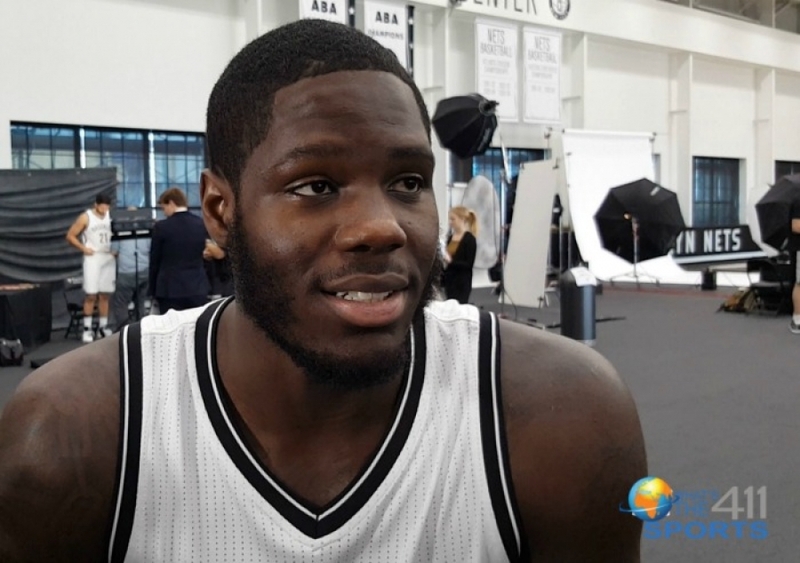 Vaughn appeared in one game for Brooklyn after being acquired on February 5th from Milwaukee. 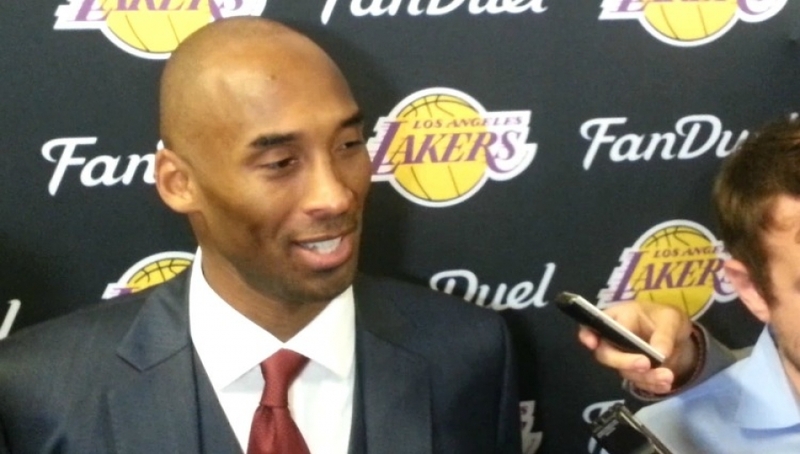 “Dante Cunningham is somebody I'm familiar with and I think our whole group is familiar with," said Marks. "With Rondae (Hollis-Jefferson) being out right now and losing Tyler as well, Dante gives us a positional need, fills that little bit of a void there. But he also brings us toughness, grit. He's a veteran. He's been on multiple teams. He's been on playoff teams. He's been in big moments. And I think what he'll add to our group will be important." 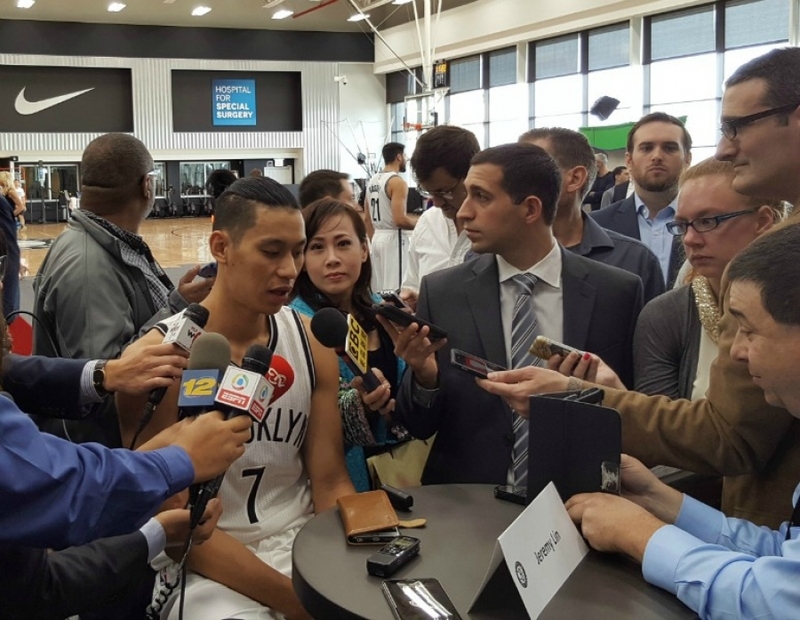 And then there was a question about Jeremy Lin, who has been sidelined since October 18, 2017. 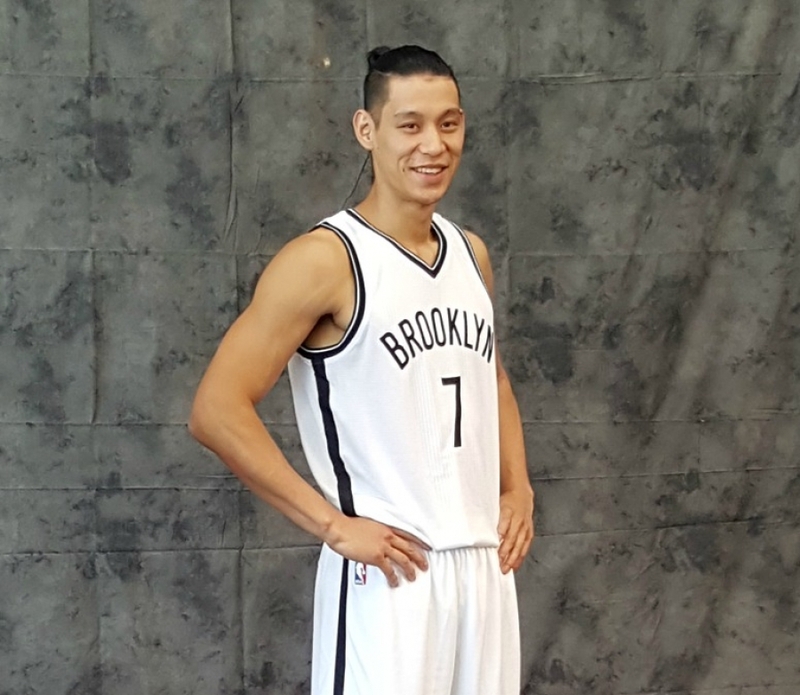 Lin underwent surgery after injuring his patellar tendon in his right knee during a game against the Indiana Pacers, which was the Nets’ first game of the 2017-18 NBA season. As expected and his righto assert, Lin declared this week that he was opting into the final year of his three-year contract with its $12.5 million salary. Marks said, "It's certainly something we expected. We talked about it for quite some time now with his representatives. That was definitely no surprise." In a game where the lead changed six times, the teams tied three times, and during the fourth quarter, the Houston Rockets led the Brooklyn Nets by as much as 16 points, at 1:22 left in regulation the Nets managed to close in on a six-point differential on an Isaiah Whitehead nine-foot floating shot. Unfortunately, Brooklyn couldn’t sustain the momentum to stop the Rockets and bowed to Houston 123-113 on Tuesday night. In addition to the game loss, Nets guard Caris LeVert suffered a concussion after running into a hard screen set by Houston center Nene Hilario at the end of the third quarter. LeVert, who was only on the court for 12 minutes, left the game with nine points, three assists, and three rebounds. Although the outcome of this game against the Rockets didn’t go the Nets way, the team’s competitive spirit was on full display. At the end of the night, the Nets shot .457 (16-of-35) from 3-point range and recorded their 10th game with 15-plus made threes this season. The Nets’ assist record bested Houston 24-16, and so did Brooklyn’s free-throw record, which was 88.2 percent versus the Rockets 81 percent. DeMarre Carroll scored a team-high 21 points (7-of-12 FG, 5-of-8 3FG, 2-of-2 FT) with two boards and two steals in 30 minutes. Spencer Dinwiddie tallied 18 points (5-of-7 3FG, 3-of-3 FT) with three rebounds, nine assists, and a career-high-tying three steals in 25 minutes. Nets rookie center Jarrett Allen, recorded 16 points (6-of-11 FG, 4-of-4 FT) with two rebounds and one assist in 23 minutes. With his 16 points on Tuesday night, Allen extended his career-best streak of games scoring in double figures to eight games. Okafor had a good night, he posted 15 points (7-of-9 FG, 1-of-3 FT) and six rebounds in 25 minutes off the bench. (D’Angelo) Russell also scored in double figures for Brooklyn, recording 10 points in 19 minutes off the bench. D’Antoni also tipped his hat to Brooklyn’s effort. Harden led all scorers with 36 points and five assists with his effort for Houston. (Chris) Paul scored 25 points, seven rebounds, and five assists; and Clint Capela added 18 points and 11 rebounds. Coming off the bench for the Rockets, Gerald Green added 16 points, and Eric Gordon chipped in 13 points. Hopefully, both teams will have enough energy to go up against their next opponents. Houston plays the Miami Heat on Wednesday in Miami, and Brooklyn goes up against the Detroit Pistons with the newly-acquired Blake Griffin from the Los Angeles Clippers also on Wednesday. The Brooklyn Nets next home game at the Barclays Center is on Saturday, February 10, 2018, at 6:00 p.m. against the New Orleans Pelicans. Fresh off of claiming victory against the Phoenix Suns in their last home game 108-95, all while achieving wins in eight of their last 10 games, the Brooklyn Nets continued their three-game homestand against the Charlotte Bobcats, mirroring their results of the previous game obtaining a five-point victory on the Bobcats, 104-99. This is the second straight win, improving their overall regular season record to (35-31) in a position to make their second straight playoff appearance since the inaugural grand opening of the Barclays Center in 2012. The Bobcats are currently the 7th seed, one seed below the Nets, in the thick of the Eastern Conference playoff race one month away from the end of the regular season. 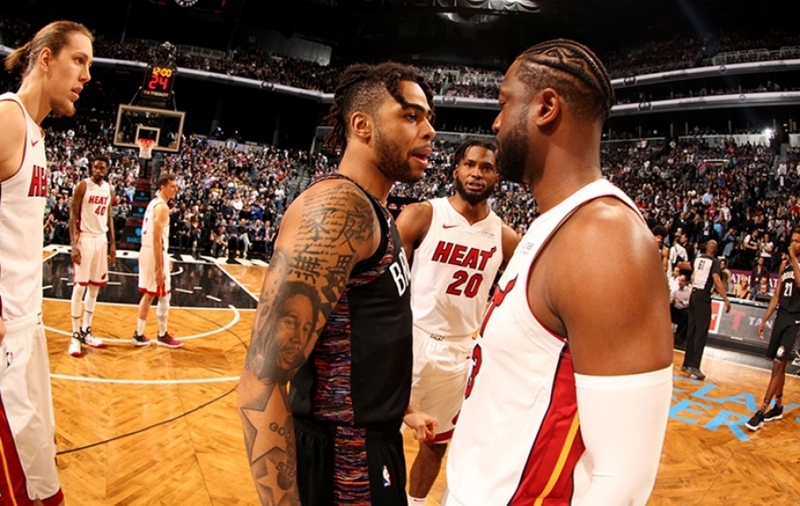 With aspirations of completing the season on a high note, each game for the Nets holds a certain level of significance and tonight is another game against an opponent the Nets are capable of defeating. Each NBA team features its own difficulties for its opponents and the Bobcats provide a down-low offensive force in F Al Jefferson, averaging a double-double for the season recording 21.3 points per game along with 10.4 rebounds. "We're not going to have Mason go up against him one on one," said Brooklyn Nets head coach Jason Kidd prior to the tip-off of tonight's match-up in his pre-game press conference to numerous media outlets. "He's patient and knows how to put the ball in the basket," Kidd continues. 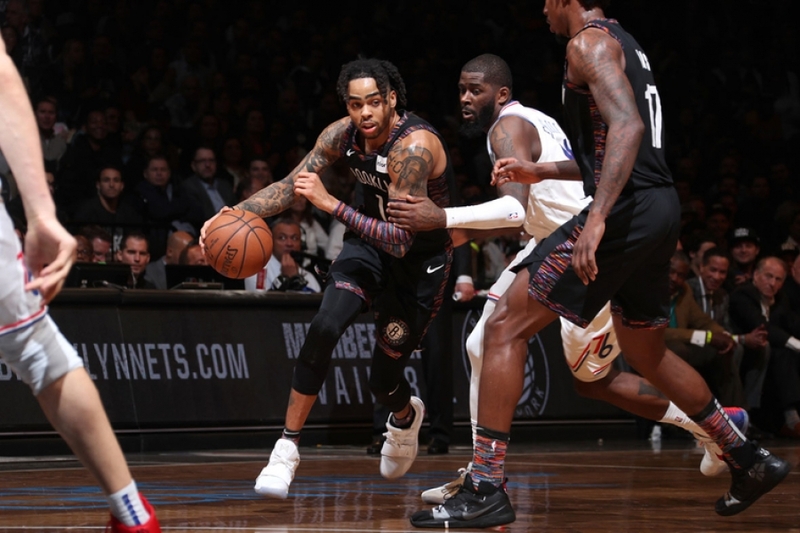 Jefferson displayed his talents early scoring 10 points while grabbing six rebounds in the first-half causing match-up problems for the Nets frontcourt, particularly C Mason Plumlee who defended Jefferson for the better part of the first half committing 3 fouls in the process. With the score tied 20 all with 2:17 left in the second quarter, back-to-back jump shots by reserves F Andray Blatche and G Marcus Thornton in addition to two made free throws by first unit PG Deron Williams, improved the Nets lead to six, 26-20, going into the second half ahead, 26-21 as one made free throw by Jefferson cut the overall deficit to 5 in the closing minutes. In the second quarter, the Nets capitalized on their early slim lead extending it to a game-high advantage of 13 points, when SG Thornton connected from behind the arc, Nets leading 38-25 with 8:20 remaining in the second quarter. The Nets struggled to maintain their lead throughout second-half as the Bobcats sustained a relentless effort which decided the result of the game towards final minutes of regulation. With the game hanging in the balance, the Nets and Bobcats engaged in a back and forth rally where one team had to make enough plays to avenge the response of the opposing team and in that battle, the Nets made enough plays spearheaded by Williams who led the charge. With the Nets leading by three, 90-87 with 4:16 to go a missed Jefferson jumper allowed the Nets to get out on the break. Williams pushed the ball to the top of the key and dished it to G Joe Johnson the trailer for a three-point shot attempt which he missed only to be rewarded with another field goal attempt due to the offensive rebound by Williams who kicked it back to Johnson, this time draining it increasing the Nets lead to five 92-87. The Bobcats answered with a dunk via G Gerald Henderson cutting the lead to three 92-89 with 3:27 remaining until the resolution. The ball finds Johnson again on the right baseline guarded by Henderson which he posted up only to fade away off of Henderson's pressure netting yet another basket, edging the Bobcats now by five, 94-89 with 3 min remaining in the 4th. On the following possession, Henderson drains a three-pointer assisted by G Gary Neal with 2:46 left in the 4th coming to within two points shy of a tie trailing the Nets 92-94. In close games, teams rely on their stars to influence the final outcome of a game, and this moment belonged to Williams as his contract warrants that responsibility to put the Nets over the top as all else fails. He did not have to go far as the ball found him and he delivered as he should. With the Nets clinging to a three-point lead as the one minute mark passed, the crowd stood on its feet growing louder with each passing second as Williams stared down his defender, applied a crossover hesitation dribble and pulled up for a jump-shot locating the Net without and trouble from the rim as the Nets grabbed a 5-point lead, 100-95 grabbing control of the game for good. Williams led all scorers accumulating 25 points and 8 assists as his back-court mate in Johnson complimented his cause adding 20 points and grabbing 8 rebounds. High scorers for the Bobcats featured Jefferson who was neutralized in the second half finishing with 18 points and Neal who finished with 17. Williams performance grants him the player of the game award and Kidd took notice. 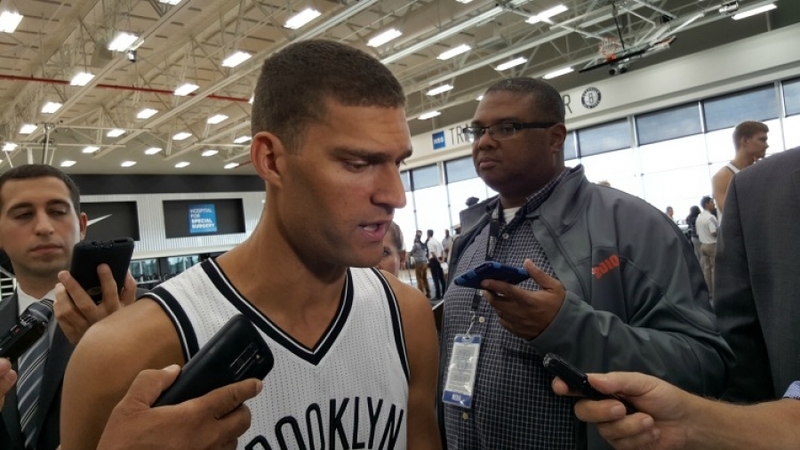 "Deron took control of the game," Kidd expressed to media correspondents in his post-game press conference. Regarding his team's efforts Kidd continued saying, "They didn't panic, they stayed the course and executed on both ends when it mattered." 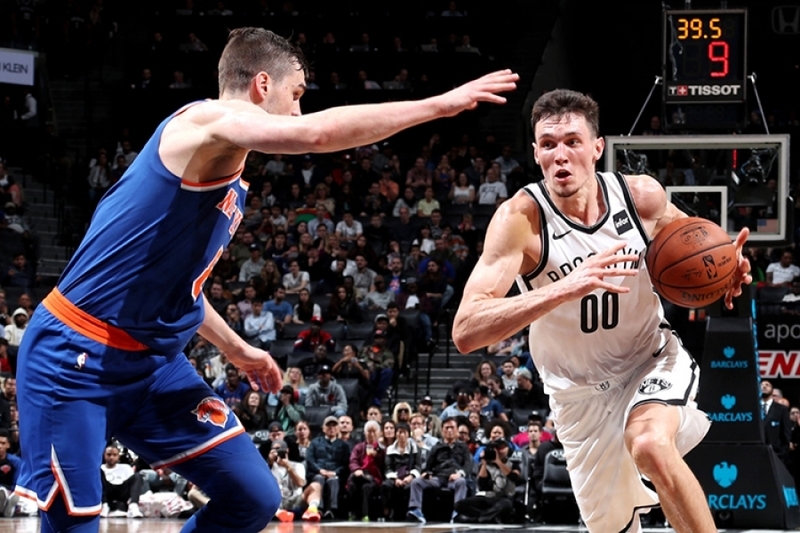 This win propelled the Nets past the Washington Wizards in the eastern conference standings as the Nets are now positioned as the 5th seed behind the Chicago Bulls. Due to the Eastern Conference experiencing a down year, the Nets have an opportunity to seize the Bulls' spot as the 4th seed as long as they continue to win and pray for the Bulls demise which is very unlikely. 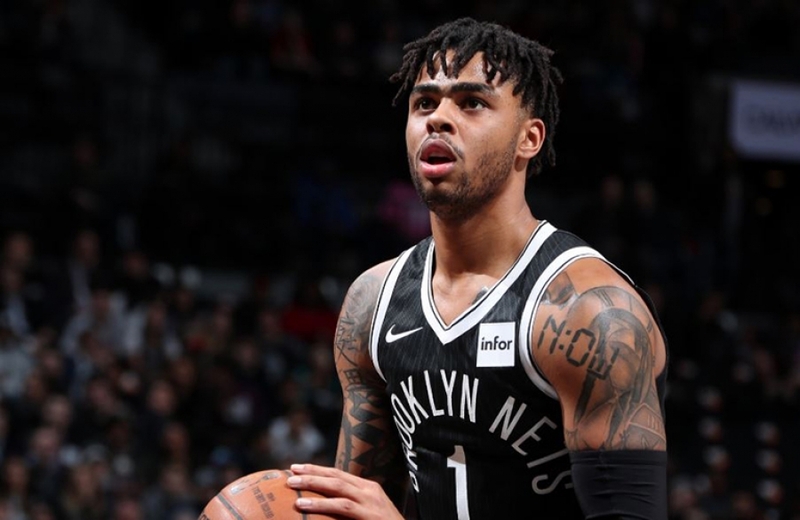 Over the next five games, the Nets will face teams who contain a combined record of 150-192, which include the Boston Celtics, the Dallas Mavericks, New Orleans Pelicans, Cleveland Cavaliers and the Bobcats once more for the final time this season. Based on talent alone, the Nets should be able to handle their business against the teams previously listed. As for Brooklyn, a Nets win translates to a comfortable slumber.